From people, here at Mimmo's, who make food with love and make visions come to life! Download our app from the iTunes or Google Play app store and receive 20% off your first order. Mimmos' Brick Oven Pizza & Trattoria offers Staten Island fine dining in a friendly atmosphere at an affordable price. We have a full bar menu available with beer, wine, liquor. Our head chef was flown in from Italy to man our kitchen! We also offer private parties and catering for any occasion! 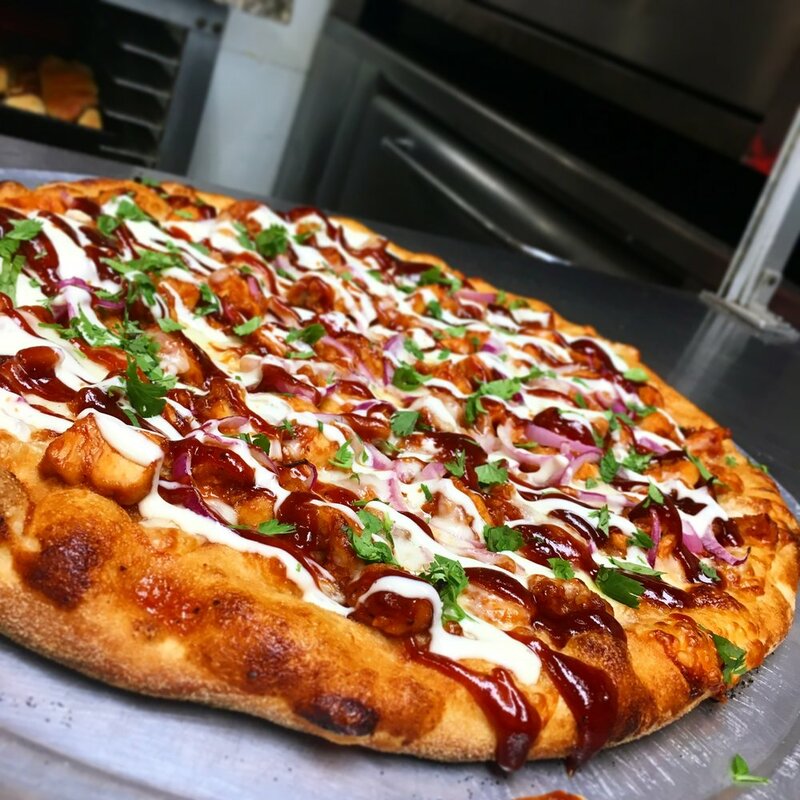 Exclusively at Mimmo's every third Thursday through the end of the year. Come in and enjoy the music, food, and ambience that Mimmo's provides. You'll be sure to have a great time! From the people who make great food with love! 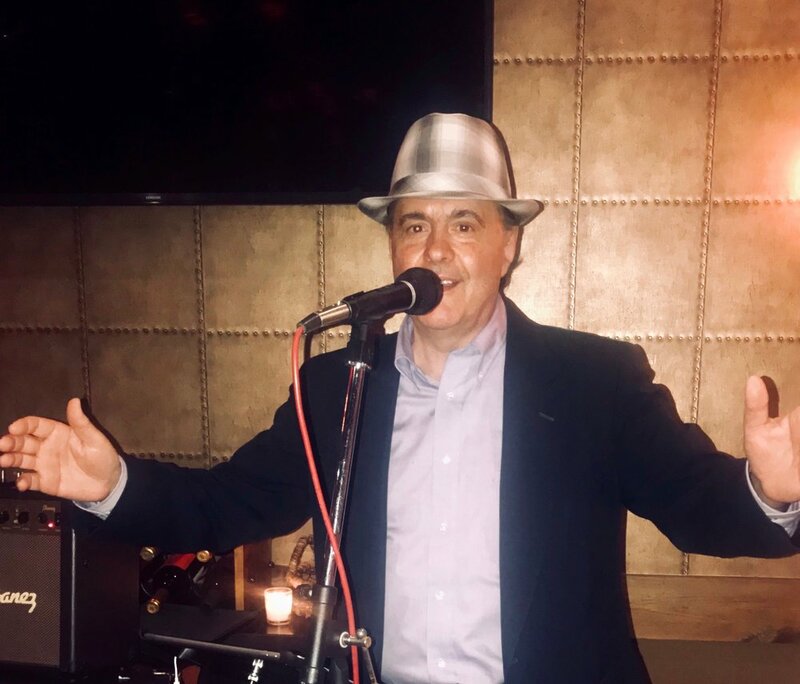 Joining us at Mimmo's every Saturday night in 2019. You'll be sure to have a great time! Come in and enjoy the music, food, and ambience that Mimmo's provides. Rob was recently featured in Wall Street Rocks For Our Heroes, playing in his band Rob Enz and The Fog. Staten Island adds a new addition to its restaurant scene, one where the rustic flair of Southern Italian style permeates not just the atmosphere but each indulgent dish. Welcome to the warmth that is Mimmo's. Located in the heart of Great Kills, Mimmo's is an intriguing new restaurant and brick oven pizzeria recently taken over by new owner Domenico Ameno, who renovated the dining room envisioning a Southern Italian rustic flair, with plans to do the same design language to the rest of his establishment later this year. Domenico brought with him a few precious things from his childhood: the dream of being an entrepreneur, with a fierce work ethic, and the determination to one day own a business with his family. Today, with his son Ralph as the manager, Domenico and his wife work in the restaurant together on weekends with their younger children occasionally assisting -- finally bringing his vision full circle. To get the true Mimmo's experience, Domenico suggests just a few things: try the Calamari Dolce-Piccante to start, followed by any of their classic main entrees made with fresh ingredients such as the Penne Al Salmone or Linguine Al Pesto e Pola Di Granchio (Linguine with Pesto and crab meat) or any one of their famous brick oven pizzas. Compliment your meal with a fine glass of red wine selected from Mimmo's full service bar. For a finale, Domenico insists on the Nutella Zeppoles, a doughy confection stuffed with chocolate hazelnut filling, or Mimmo's 4th generation homemade Italian Cheesecake or any of their heavenly desserts pair beautifully with a cup of espresso or cappuccino. 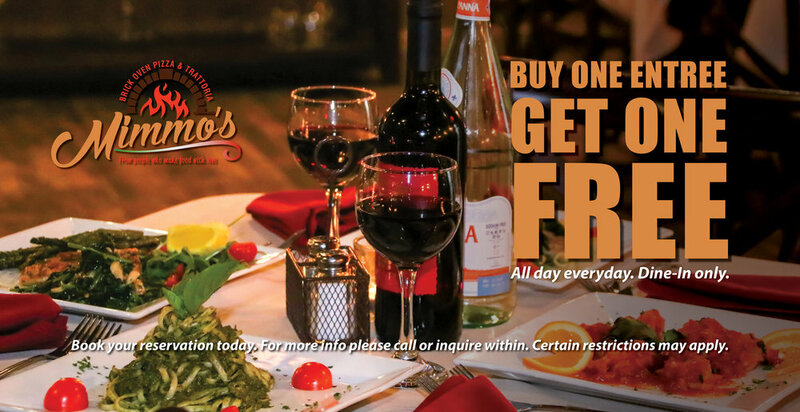 If you choose to stay home, Mimmo's delivers or will cater the party to you. They can also cater your private party in their newly renovated dining room. If you download their new App, you will receive 20% off your first online order. "Ever since I was a little boy, my dream in life was to be an entrepreneur and a business owner. I thank my parents each and every day for raising me and showing me the family values that were instilled in them. We all work together as a team and enjoy spending quality time with family. My father, who came from Italy, worked many hours to pursue his dream to own his own restaurant. I was raised around home-cooked meals and traditional Italian Sunday dinners. My mother gave a clear understanding on what cooking with love meant. Her happiness was watching her family and friends enjoy the food she cooked. 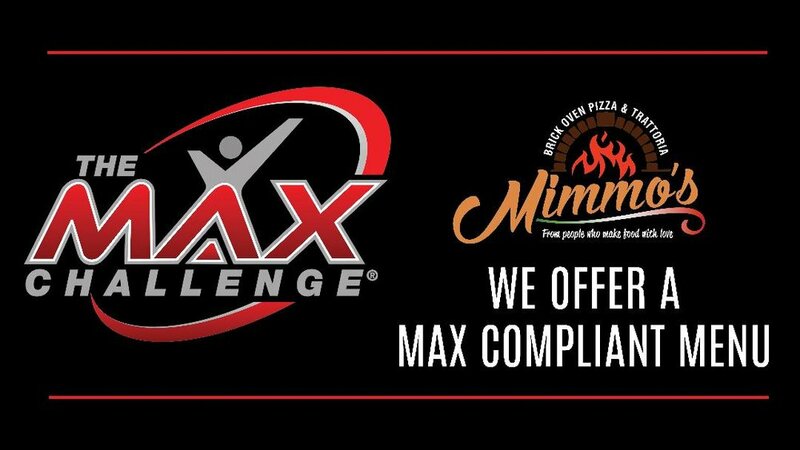 The determination and long-term goal of Mimmo's is to provide the same love and passion that my mother has for food and carry it through with great customer service, making all of our guests feel like they're invited into our family home. I was proudly named after my grandfather. Ironically, we both share similarities in our character, passion and drive in life. Domenico is an authentic Italian name that carries the nickname Mimmo. My wife and mother felt it would be a proper name for our new business.